As befits the headquarters of the British architectural profession, 66 Portland Place is a showpiece of design and craftsmanship. Events held here gain prestige and impact from the surroundings, which are as impressive today as they were when the building was first designed in the early 1930s. The architect was George Grey Wornum (1888- 1957), whose design was judged the best of 3600 entries in a competition for a new RIBA headquarters. 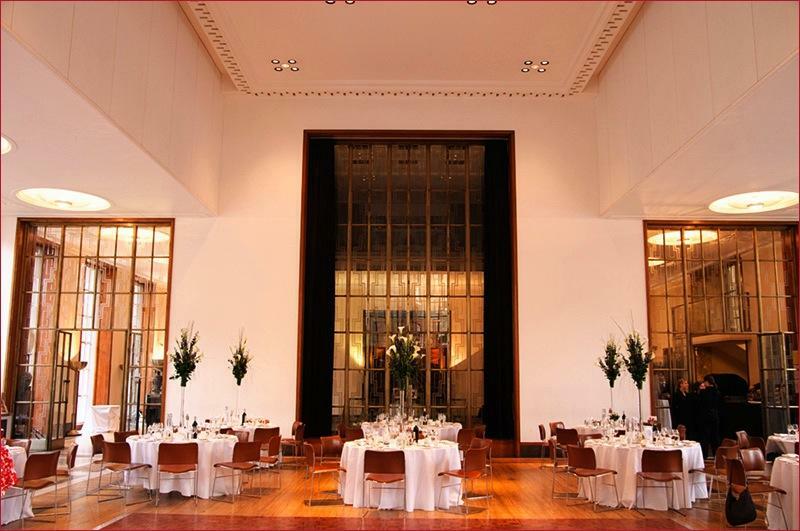 Completed in 1934, the building was opened by King George V and Queen Mary Art and craft are everywhere, from the decorated bronze front doors and sculpted figures either side of them to the etched glass screens and wooden paneling that can be found throughout the interior. 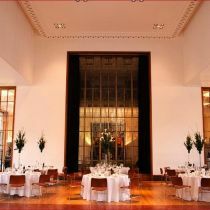 Its suites and rooms can host meetings, conferences and receptions for up to 400 people, and seated dinners for up to 250. 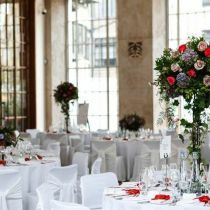 The building also provides a memorable setting for any wedding day. Within the building is all the high quality support you will need. 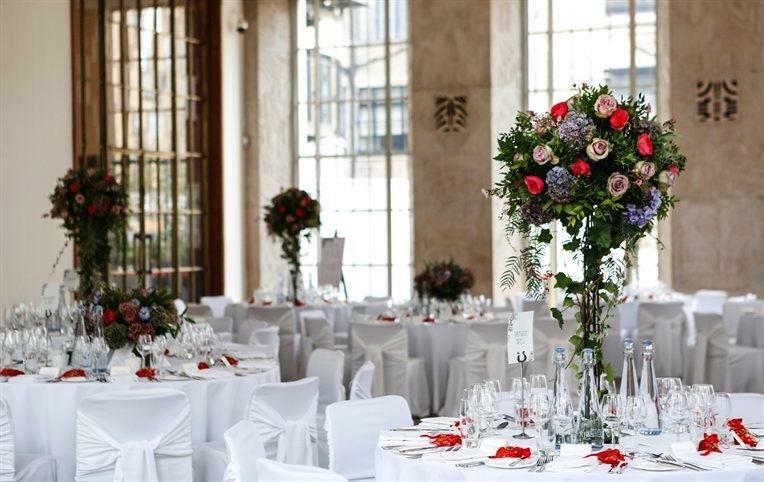 Our expert in-house caterers and venues team will make you feel at home and tend to any request or detail. Rooms are fully adaptable to a range of uses and we can match you up with the latest, most appropriate presentation equipment. Tell us your requirements and we will make sure you will be able to turn up, switch on and get down to business.